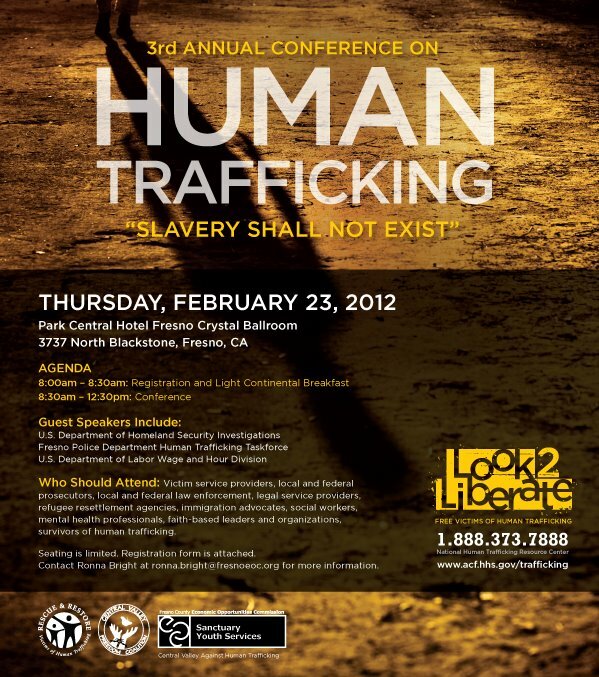 Guest speakers include the U.S. Department of Homeland Security Investigations, Fresno Police Department Human Trafficking Taskforce, and the U.S. Department of Labor Wage and Hour Division. This conference is recommended for victims service providers, law enforcement, prosecutors, legal service providers, refugee resettlement agencies, immigration advocates, social workers, mental health professionals, faith based leaders and organizations, and trafficking survivors. For information on registration, email Ronna.Bright@fresnoeoc.org. Posted in Uncategorized and tagged as Central Valley Against Human Trafficking, conference, EOC Sanctuary, human trafficking, slaveyr shall not exist.